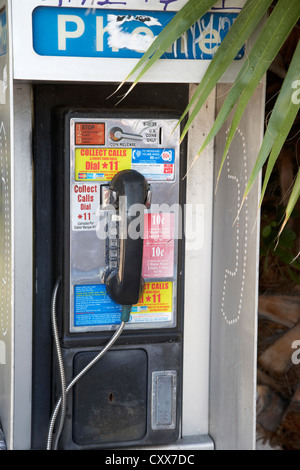 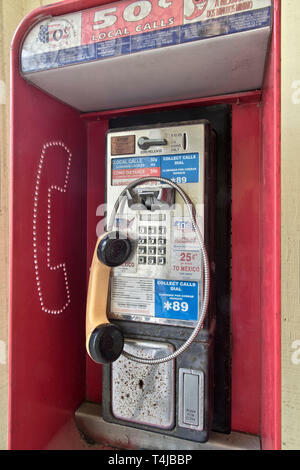 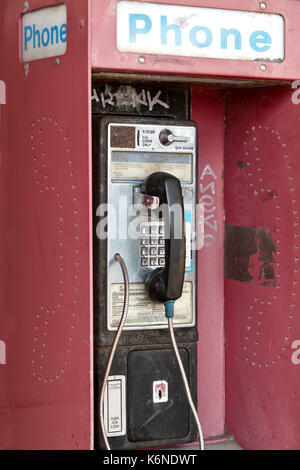 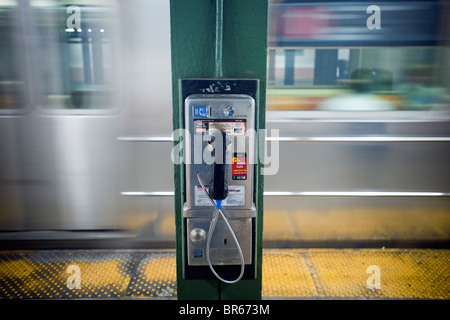 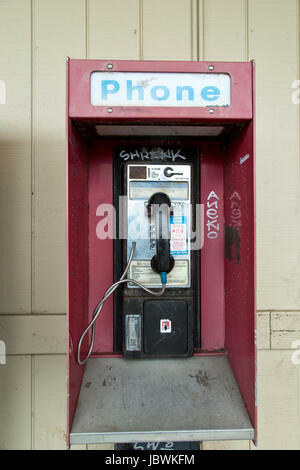 Abandoned coin operated public pay telephone with coin release slot, old shopping center, California, United States. 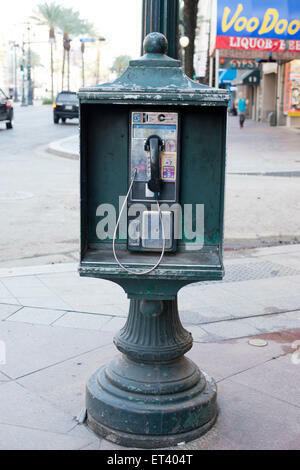 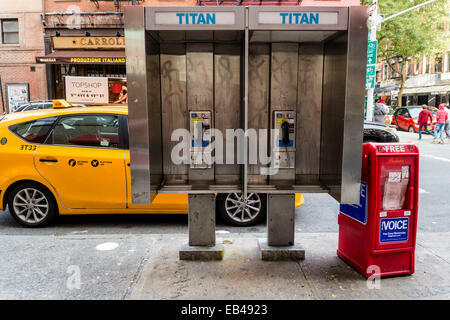 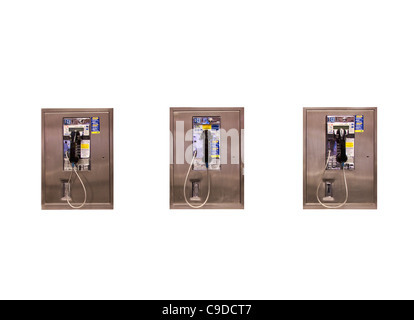 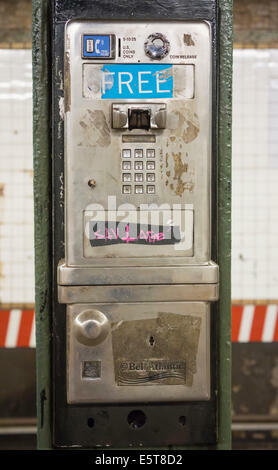 Classic Coin operated public pay telephone with receiver, coin release slot. 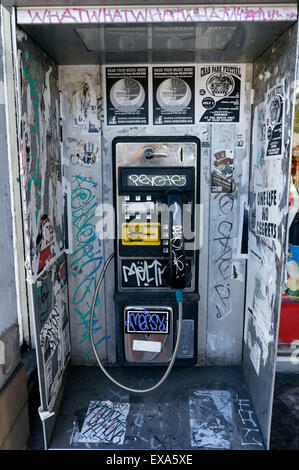 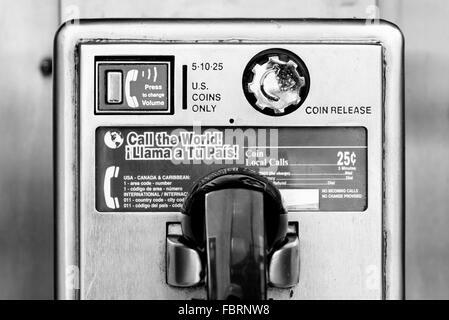 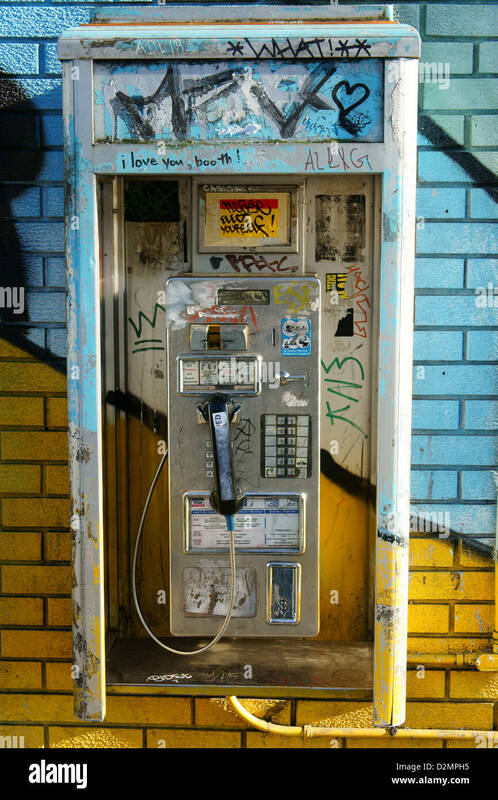 Abandoned 'Antique' coin operated public telephone with coin release slot, graffiti, old shopping center, California, United States. 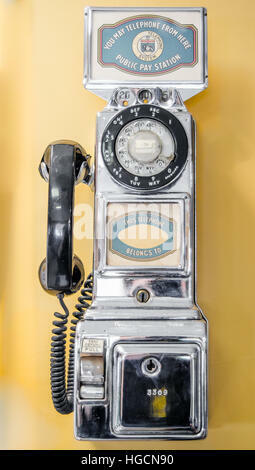 Vintage, old-style, retro, coin operated, pay telephone, call from the past.